I unknowingly made my own Self-Care Kit almost five years ago. I was feeling pretty down and going through a period of intense depression. I got on facebook and asked my friends to send me a message telling me that they loved me and then telling me why, so I could print them out and keep them. I asked the same from the people I knew around me. The result was a collection of little notes telling me how loved I was. I put them in a shoebox, added candy, my favorite tea bags, and a list of things to do when I was feeling down. Whenever I was feeling depressed I would pull out that box, have a chocolate, and read all of those sweet sweet words that were a balm to my soul. There were so many times when I was critically depressed and being reminded that I was loved and that I mattered made all the difference. My Self-care has evolved since then and now there are all sorts of things that pull me out of a funk and make me feel better. 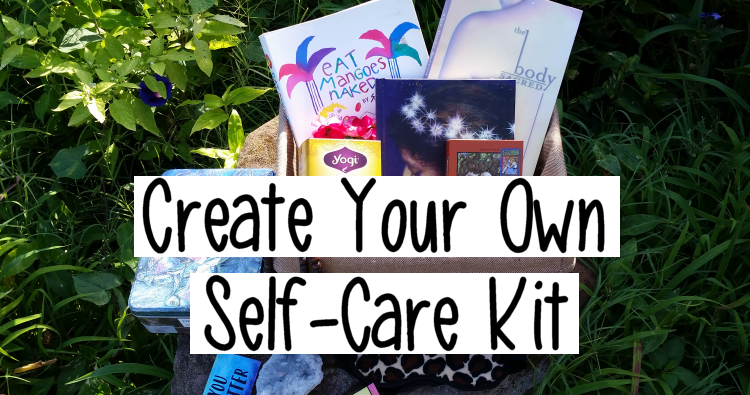 Today, I want you to start planning your own self-care kit! 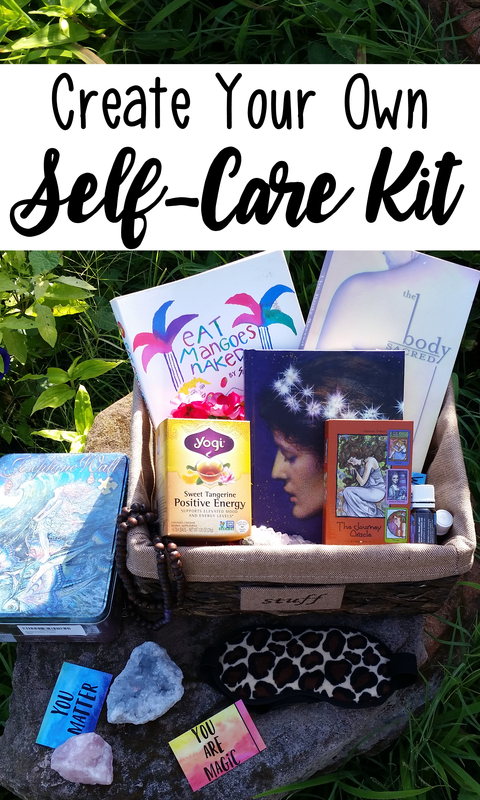 My self-care kit touches on all of the things that make me feel better in a variety of ways. Eye pillows and eye masks for those stress-induced migraines when you need nice cool darkness. My favorite was an eye pillow filled with flaxseed and lavender, sadly it broke, so now I just have one of those generic sleep masks, it works great with a few dabs of lavender on it. When I’m feeling really anxious, I take a vitamin called Nerve Tonic that works really well to bring my anxiety under control fairly quickly. It’s mostly magnesium, which has been a miracle for me. Tea! My favorite tea is Yogi’s sweet tangerine but I’ve got my eye on snarky teas. A tea called Calm The F**k Down Tea? It’s on my list. Essential oils are always one of my go-tos. Lavender is my all time favorite. I really love Starwest Botanicals because they’re really affordable. I love jigsaw puzzles. They help me relax, they get my blood pressure down, and they help me completely zone out. I can lay there for hours just getting lost in the matching of shapes and colors. When you’re feeling stressed out, it’s good to have a hobby that you can immerse yourself in to get out of your head. Prayer beads, because sometimes you’ve just got to chant your way to a better mood. It’s way more than just “om”. Crystals! Worry stones are great because they’re these lovely polished stones with an indentation where your thumb goes so that you can absently rub it. The OG fidget spinners. Find a crystal that you connect with. Black stones are generally good for grounding and getting rid of negativity. Green stones are generally healing. Amethyst is my calming crystal of choice. Oracle Cards for when you need wisdom, need a new perspective, or to see the bigger picture. My favorite deck is currently the Journey Oracle. If you want something full of sweet positive messages, check out Louise Hay’s Wisdom cards. Journaling, because sometimes filling up a whole page of profanity is just what the doctor ordered. Writing helps me figure out exactly where the hurt it is and that allows me to start healing. I really love the book The Body Sacred. If you’re having a day when you’re just feeling bad about your body, it has a lot of great passages to pull you out of that mindset. And SARK because she’s SARK and her books are full of doodles and color and you just feel like she’d totally get you as a person if you were sitting down to tea together. 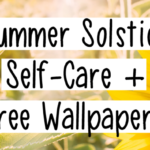 Want a premade self-care kit? I’ve decided to gift myself to a Cratejoy monthly subscription box each month. 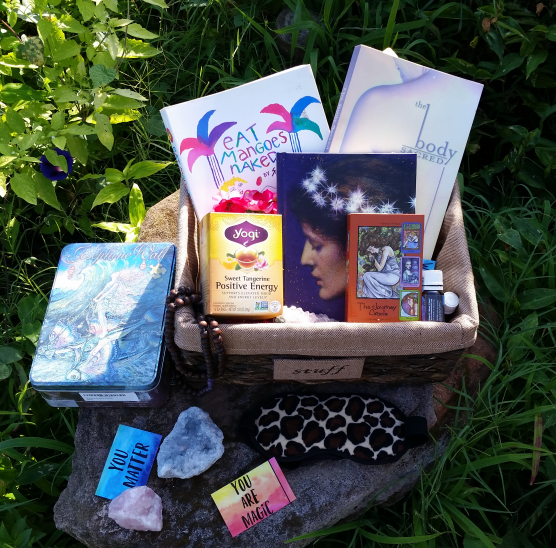 There are book boxes, pampering boxes, snacks, crystals, bath bombs, basically anything you could want to treat yourself. 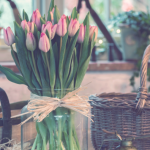 This month I’m treating myself to the Hygge box. *This post contains affiliate links. If you purchase anything, thank you! What would you put in your self-care kit?